I was very pleased to contribute to a book about one of my favourite artists from Brazil. Stephan Doitschinoff’s street alias is Calma. This book presents the emblematic and spiritual paintings and murals that the Brazilian painter has emblazoned on houses, churches and walls in rural villages in his South American homeland. 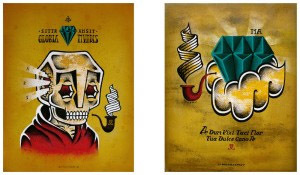 His metaphoric imagery feeds off Afro-Brazilian folklore, pagan and alchemic symbolism and contemporary pop culture. 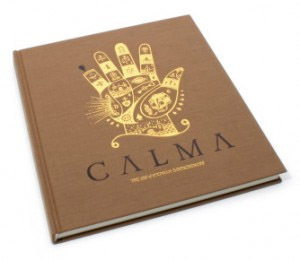 For the first time, Calma documents his artistic journey through these rustic areas and presents the complete visual pandemonium of a young urban artist who creates powerful figurative worlds.